The thing I wanna know is, how has Kawajiri managed to have never directed a Fist of the North Star movie. I watched this when I was like 12, right up there with Angel Cop and Maeda’s La Blue Girl. Cause ya know, a kid had to have something else when he wasn’t watching Michael Dudikoff flicks. I’m pretty sure Fast Karate’s touched on this before but, it’s pretty amazing how Kawajiri’s 3-character template never gets old. You got the male protagonist, the female counterpart lead, and the old guy overwatching things.. or in Bloodlust’s case a talking hand. And yet all his works and 30+ years of film making still look fresh as a muffin. I’m glad he’s still somewhat in the business, Madhouse always does really cool stuff. 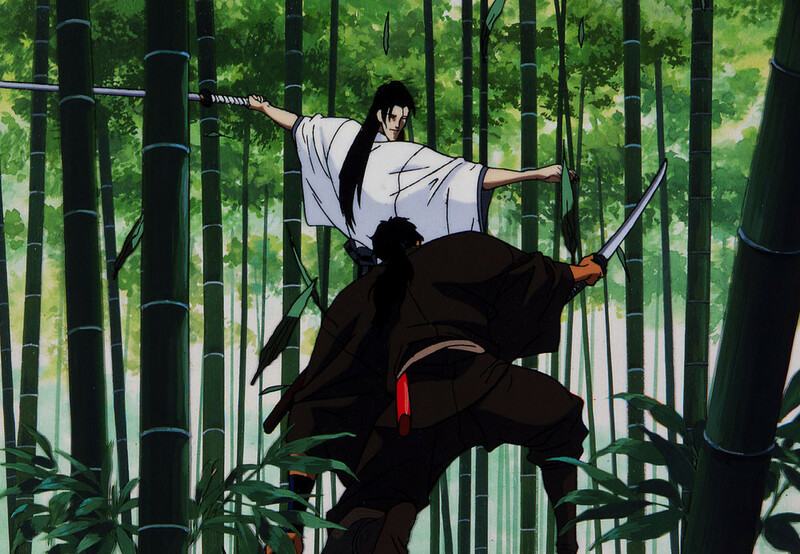 Hopefully that Ninja Scroll sequel gets off the ground, he’s one of the last of the Mohicans still clinging-on to the anime medium in lieu of video games. Though if Keanu Reeves does something anime related, I’d rather see him as Goku from Midnight Eye than Spike. I can’t lie, this movie has my favorite way of “killing” an immortal.